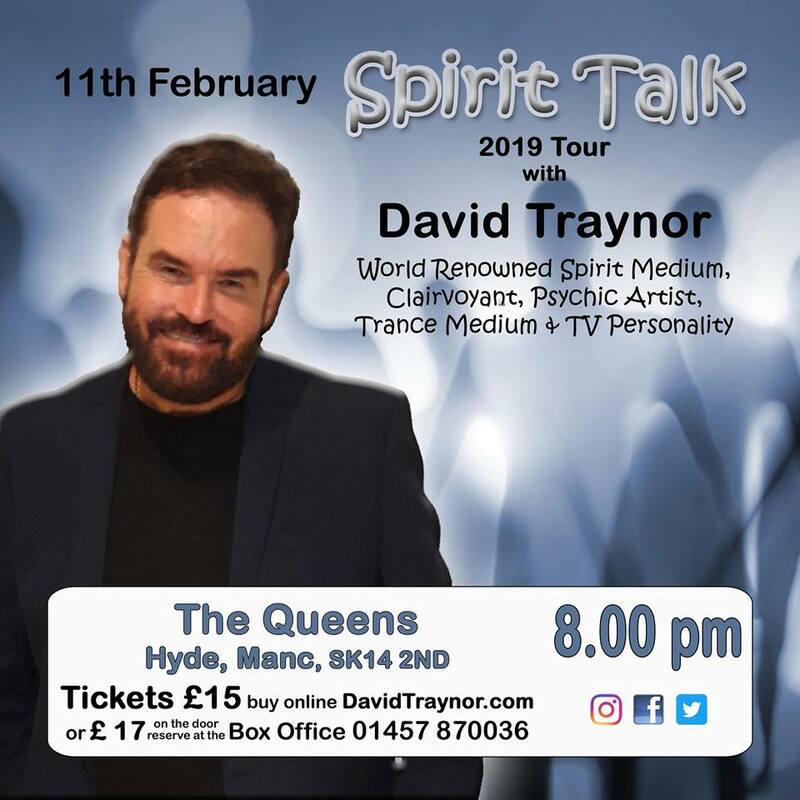 Come and see the entertaining world of Spirit Medium David Traynor on his 2019 #SpiritTalk Tour in Hyde, Manchester. David connects the audience with their loved ones in Spirit who pass on their messages to demonstrate that life goes on and they continue to take part and watch over us. This is communication with Spirit at its best put across in his own unique style with added proof from Psychic Art drawn by David as he speaks to the audience.